MGM Grand Air was started and funded by Kirk Kerkorian, the billionaire who was the dominant owner of Las Vegas casinos. Kerkorian's vision involved non-stop luxury air service between Hong Kong and Las Vegas, and most importantly, inflight gambling. 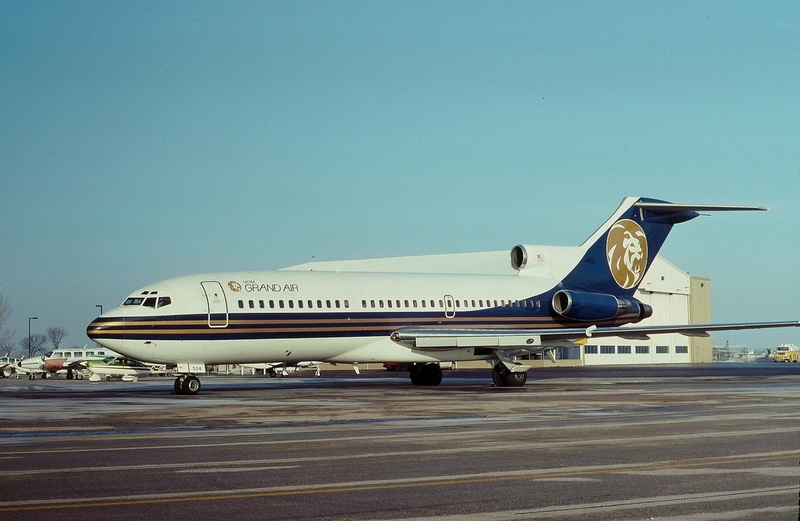 In the effort to establish the company, obtain FAA Certification, gain experience, and develop the business concept, Kerkorian began with three very highly modified B727-100 aircraft fitted with long range fuel tanks and an extraordinarily luxurious interior. 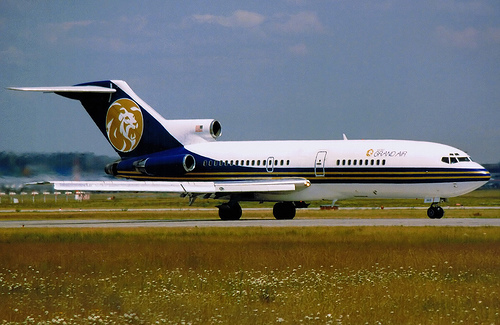 MGM Grand Air was derived from a predecessor airline that had failed, Regent Air, and Kerkorian bought the former Regent Air aircraft as an initial step. Robert Ditchey was brought in as the Vice President Operations to hire pilots and mechanics, get the airline certified with the FAA, and refurbish the aircraft for initial service. When the US Congress rendered inflight gambling illegal, Kerkorian sold the airline, as its key purpose was rendered moot. MGM Grand Air offered service from Terminal One of LAX, located on the southern border of the airfield, along what is now Imperial Highway. Terminal One had earlier been shuttered and disused. Kerkorian fought hard to reopen it, and spent lavishly to make it appealing. Passengers were heavily pampered, brought to the side of the aircraft on the ramp by limousines. MGM Grand Air offered nonstop service between LAX and JFK, with aircraft of incomparable luxury. It targeted Hollywood stars, top executives of the entertainment industry, royalty, high-end designers and clothiers to the rich and famous. The aircraft had six cabins in the rear of the aircraft that could selectively made into either bedrooms or dining rooms, all in the "Orient Express" model. Most of the pilots that were hired by Mr. Ditchey for the creation of MGM Grand were former Continental Airlines pilots who were laid-off when Frank Lorenzo moved Continental from LAX to Houston. These plots were already highly trained and experienced and were a boon to the airline.